Justin Currie is best known as the lead singer-songwriter of Del Amitri, a band sadly best known for Roll To Me. In the Too Poppy Universe, Currie is one of the best songwriters of his generation; dry, melancholic, witty, and in its ultimate meaning, lyrical. 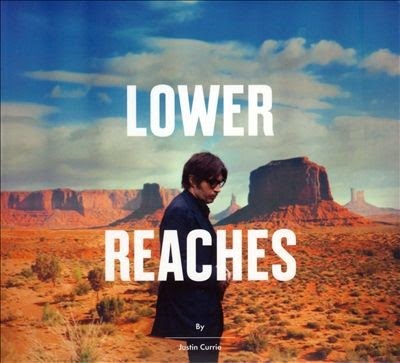 Out today - at least in US digital stores - is his latest solo album Lower Reaches. Allmusic.com calls it "a collection of road-ready, Scots-spun Americana that feels both loose and lived in." That's not the first time I've seen Currie called Americana and superficially I get it, but his songs are certainly more universal. Can't wait to download this one and I encourage you to do the same. In fact, dig deeper. Explore beyond Roll To Me and if you're a fan of contemplative, romantic, and often soul-crushing tunes then you will not regret it.